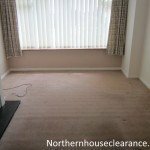 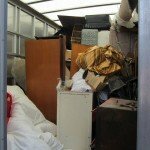 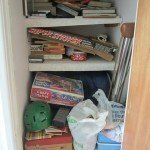 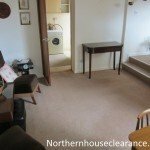 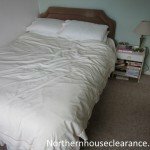 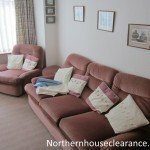 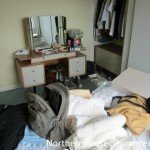 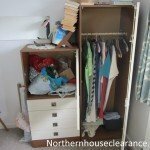 We undertake house clearance in all areas of Newcastle Upon Tyne: Pelaw Ryton Sandyford Seaton Burn Shieldfield Shiremoor Slatyford South Shields South Tyneside Spital Tongues Throckley Tyne and Wear Tynemouth Walbottle. 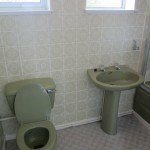 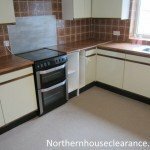 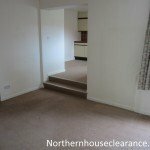 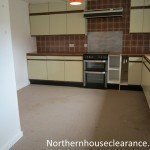 Our client for this clearance owned a three-bedroomed detached house in one of Newcastle’s wealthier suburbs. 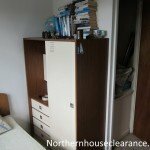 He had recently inherited the property from his uncle, and he wanted to move into the house with his young family. 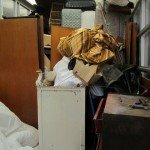 His uncle’s taste in interior decor had been quite old-fashioned, and he and his wife wanted to redecorate the house and replace all the furniture with items more to their own taste. 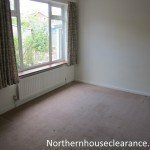 The client told us that there were some antiques still in the property and he wondered whether we could arrange to sell them. 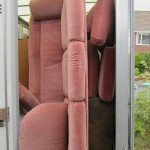 We said we’d be happy to arrange for them to go into auction. 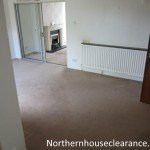 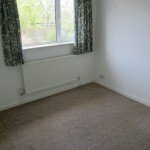 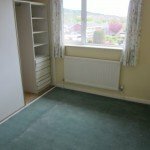 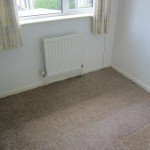 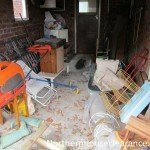 Apart from that, the client wanted us to completely clear the property and to dispose of the furniture that had no intrinsic value as we saw fit. 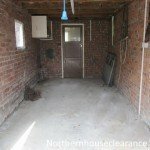 The client had already cleared out his uncle’s personal effects. 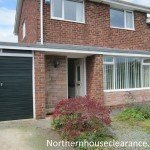 The house was very large and had a spacious driveway for our vans so we were able to park close to the front door. 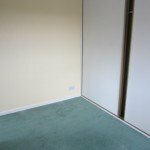 We protected the doorway and hallway with plywood, to reduce the risk of any damage. 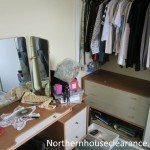 We located the antiques in one of the bedrooms and sorted through them to decide which were suitable for selling. 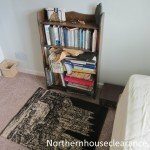 In the end we picked out three items including a painting, a statue and a decorative bowl, and separated these from the other contents. 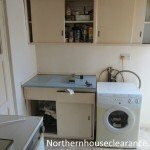 We removed everything from each of the rooms, including the fridge and freezer from the kitchen. 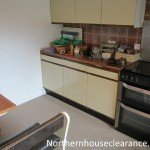 We had previously called a Gas Safe engineer to disconnect the gas cooker, and once he had arrived and carried out the work we removed this as well. 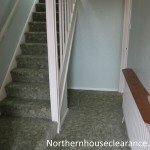 Once everything had been cleared, including the carpets, we cleaned the entire house using industrial cleaning equipment. 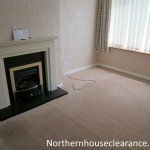 The result was a completely empty, very clean house that our client and his wife could now decorate and furnish as they chose. 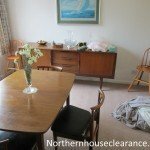 We managed to sell the antiques for quite good prices, and the proceeds from the sale went to offset the cost of the clearance for our client. 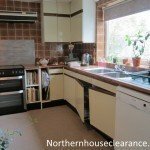 We donated most of the remaining furniture along with the pots and pans from the kitchen, books, DVDs and an old TV to local charity shops in Newcastle. 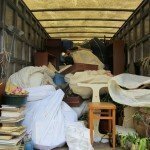 Everything else was recycled. 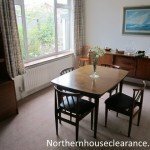 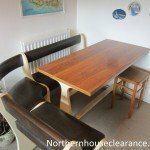 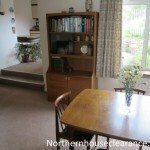 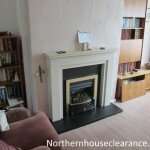 The owner was very happy to be able to get a discount on the house clearance after we had sold the antiques, and he also thanked us for our diligence and hard work.